Monday’s announcement of the expected-but-historically-unusual player swap between Arsenal and Manchester United inspired Man United’s social media team to get to work. 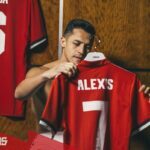 Alexis Sanchez’s arrival got an #Alexis7 hashtag and a distinctive video showing the player in his new jersey taking in the Theater of Dreams intercut with the not-quite-necessary, but certainly artsy, flourish of him playing “Glory Glory Man United” on a piano. But it also, happily, was ripe for parody as soon as it came out—and it came from a surprising place. Motherwell FC, currently mired in the bottom half of the Scottish Premier League, made the acquisition of Peter Hartley from Blackpool official on Tuesday, and while it wasn’t the splashiest of transfer news, Motherwell’s social media team saw the #Alexis7 video, light bulbs went off, and they went about gathering the props needed to make a stellar, frame-by-frame remake (with some comic embellishments, naturally) of the Man United video with what we’ll know forever as the #Pete6 video. 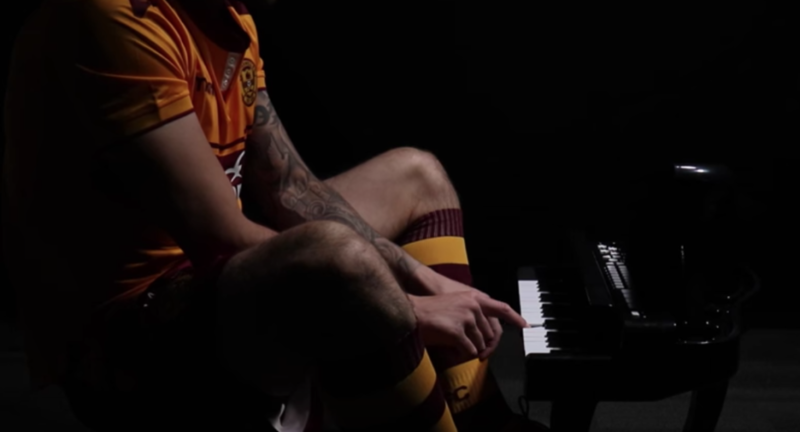 Motherwell communications manager Grant Russell told inews.co.uk, of the video’s creation, “We are very fortunate at Motherwell FC that despite the small team and the financial limitations, we have an incredible skillset and a similar sense of humor.” The video reportedly came together in six hours, including the time it took to seek out, find, and buy the toy piano that figures prominently within. As social media pranks go, it’s a good, gentle, feel-good trolling of Man United, taking that team’s celebrate-us loftiness and deflating it like some great whoopie cushion. 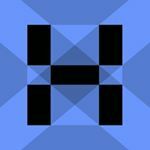 Follow Phil on Twitter @PhilWest.